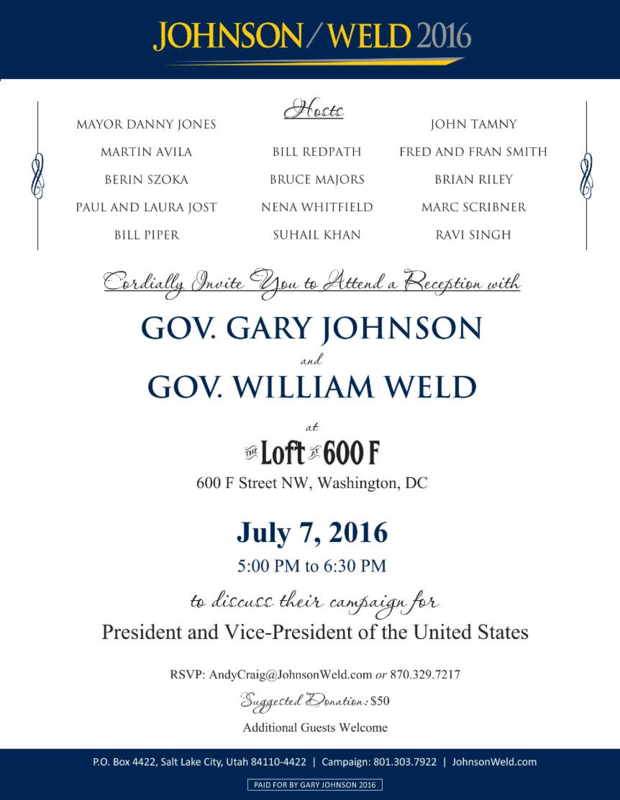 Libertarian Party Presidential and Vice-Presidential nominees Gary Johnson and William Weld will be appearing at The Loft, located at 600 F Street NW in Washington, DC this Thursday, July 7, from 5 to 6:30 pm, to discuss their campaign. There will be a live feed of Gary Johnson’s and Bill Weld’s speeches at the National Press Club, beginning at 1 pm ET. Click here to watch.